BIBLE-VERSE COLORING & ACTIVITY BOOKS There are 46 products in this category. 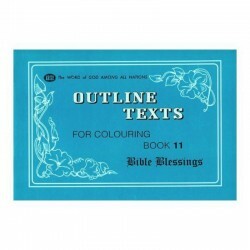 14 pages | 6" X 8.5" | Soft bound Series 1 Colouring Book: Bible Blessings Low-cost coloring book for all ages focusing on Scripture texts on the Bible Blessings theme. Contains 14 plus pages of texts and illustrations for coloring. 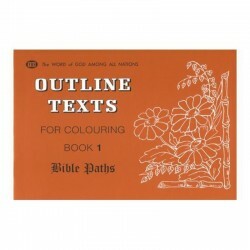 14 pages | 6" X 8.5" | Soft bound Series 1 Colouring Book: Bible Paths Low-cost coloring book for all ages focusing on Scripture texts on the Bible Paths theme. Contains 14 plus pages of texts and illustrations for coloring. 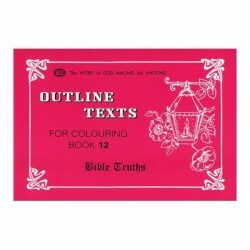 14 pages | 6" X 8.5" | Soft bound Series 1 Colouring Book: Bible Truths Low-cost coloring book for all ages focusing on Scripture texts on the Bible Truths theme. Contains 14 plus pages of texts and illustrations for coloring. 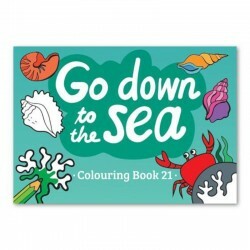 Page Size: 5.8" x 8.3" New series coloring book containing 14 pages of texts and illustrations on 'Go down to the sea' theme, with a Bible passage in the back for parents and others to read with the children. 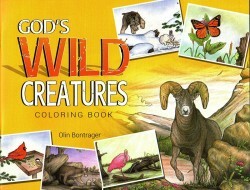 Page Size: 5.8" x 8.3" Coloring book containing 14 plus pages of texts and illustrations on God's Creatures, with a Bible passage in the back for parents and others to read with the children. 14 pages | 6" X 8.5" | Soft bound Series 1 Coloring Book: The Lord's Prayer Low-cost coloring book for all ages focusing on Scripture texts on the The Lord's Prayer theme. Contains 14 plus pages of texts and illustrations for coloring. Page Size: 5.8" x 8.3" Colouring book containing 14 plus pages of texts and illustrations on The Fear of the LORD, with a Bible passage in the back for parents and others to read with the children. 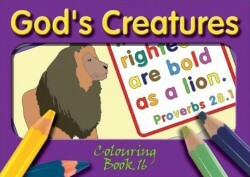 Grades K - 3Colouring book containing 16 pages of texts and illustrations on The Word of God, with a Bible passage in the back for parents and others to read with the children. Page Size: 5.8" x 8.3"
6 DIFFERENT SCRIPTURE COLORING BOOKS Page Size: 5.8" x 8.3" Set 2 (C13 to C18) with six 14-page themed coloring books of Scripture texts and illustrations. 4 DIFFERENT SCRIPTURE COLORING BOOKS Set 3 (C19 to C22) with four 14-page themed coloring books of Scripture texts and illustrations. Page Size: 5.8" x 8.3"
59 Pages | 8.5" X 11" | Soft bound Ages 1st-3rd grade Enrichment activities with charts, graphs, and statistics related to calendar and weather. Handy teacher notes included with the workbook. Can be used as a math supplement for students in grades 1, 2, or 3. SET OF 3 DIFFERENT COLORING BOOKS - OUTLINE TEXTS: Bible Paths, Bible Praises, Bible Treasures, Books of the Bible 14 Pages | 6" x 8.5" Set of low-cost coloring books for all ages. Each book contains 14 plus pages of text and illustrations for coloring on various themes. 14 pages | 6" X 8.5" | Soft bound Series 1 Coloring Book: Bible Praises Low-cost coloring book for all ages focusing on Scripture texts on the Bible Praises theme. Contains 14 plus pages of texts and illustrations for coloring. 14 pages | 6" X 8.5" | Soft bound Series 1 Colouring Book: Bible Treasures Low-cost coloring book for all ages focusing on Scripture texts on the BibleTreasures theme. Contains 14 plus pages of texts and illustrations for coloring. 14 pages | 6" X 8.5" | Soft bound Series 1 Colouring Book: Books of the Bible Low-cost coloring book for all ages focusing on Scripture texts on the Books of the Bible theme. Contains 14 plus pages of texts and illustrations for coloring. 14 pages | 6" X 8.5" | Soft bound Series 1 Coloring Book: The Beatitudes Low-cost coloring book for all ages focusing on Scripture texts on The Beatitudes theme. Contains 14 plus pages of texts and illustrations for coloring. Page Size: 5.8" x 8.3" Grades K - 3 Colouring book containing 16 pages of texts and illustrations on The Lord Our God, with a Bible passage in the back for parents and others to read with the children.